The Israeli singer and composer Efrat Alony has been fascinating the European audience and press ever since her arrival in Berlin. 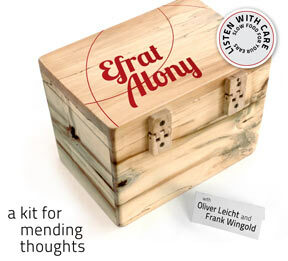 With Oliver Leicht on clarinets and electronics and Frank Wingold on guitars, Alony takes on a new “sound-adventure”: with a framework-that is without boundaries - open for excursions to rock and electronics. Their popular art-songs and imaginary folksongs paint a fascinating mosaic, reflecting on a wide range of emotions, creating a "cinema for the ear", diving into the endless depth of improvisation. Guided with the curiosity for the unorthodox and the unknown, as well as a great subtlety and finesse, with the serenity - to question - and the repose - to try and answer, this trio bewitches the listener. 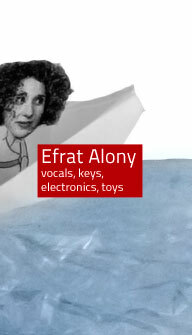 Efrat has worked as a musical director and vocal coach for various theater productions, such with the renown American director Robert Wilson. In 2006 she was awarded the Jazz Performance Prize of the Karl Hofer Society and the Jazz Institute Berlin. in 2008 and in 2010 she received the City of Berlin Jazz Award. In 2009 Alony recieved the „Nürnberg Nachrichten International Jazz award“ and in 2010 she was nominated for the BMW world Jazz award. 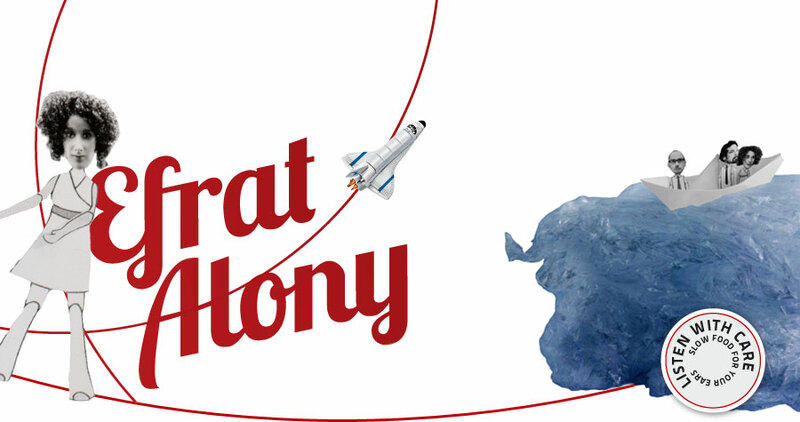 Since 2009 Efrat Alony is a Professor for Jazz Singing at the HKB College of the arts in Bern, Switzerland. In 2014 Efrat recieved the "german music author's prize"of the GEMA for Jazz composition. 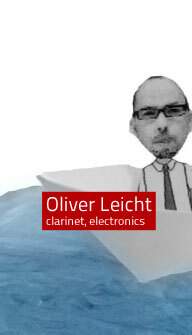 has been working for more than 20 years as a freelance musician in Cologne, Germany and the world. He has played and recorded with bands like: Frank Reinshagen Big Band, Ed Partyka Jazz Orchestra, Paul Kuhn Big Band, Sunday Night Orchestra, Bremen Big Band, Glenn Miller Orchestra, Peter Herbolzheimers Rhythm Combination & Brass, the Big Bands of ndr, wdr, RIAS and hr (German Broadcasting Stations), [re:jazz] and Bob Brookmeyer ́s New Art Orchestra. Since 2005 he is a member of HR Big Band. lives in Cologne and is part of various local bands. He is professor for jazz guitar at the Univeristy for Applied Sciences Osnabrück/Germany and teacher for jazz guitar at the Prins Claus Conservatoire Groningen/Netherlands. 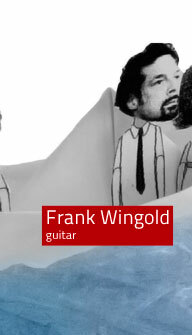 He combines classical, jazz and rock oriented techniques on accoustic and electric guitars in developing his own style of improvisation and composition. His influences include the classical repertoire of the 20. century, traditional and modern jazz, the history of rock music and the music of eastern European and oriental cultures.